Fishing a lazy river near her family’s home is part of the childhood memories of Dianne K. Scott, 66, of Salisbury, N.C., but one of those outings 55 years ago stands out: She became a hero that day. 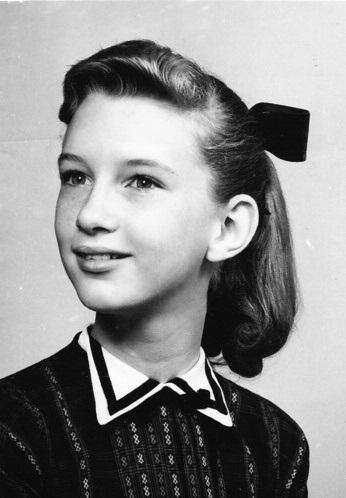 On May 26, 1955, Scott—then Dianne Kearney, 11—and her twin sisters, 9, had returned from school and were fishing the Tallahatchie River about 350 feet from their home in Money, Miss. The children’s nurse, Jimmie G. Abrams, 51, accompanied them. After one of the twins lost her fishing rod to the river, Abrams reached for it but fell into the water herself. She had a history of dizzy spells, and it was assumed that caused her to lose her balance. A nonswimmer, Abrams lay face down in the water. Fortunately, both wind and current were negligible, but Abrams floated about eight feet from the bank, where the water was about eight feet deep. One of the twins began to enter the river, but Dianne ordered her not to. She told the twins to run for help, and they did, but she concluded that help would arrive too late to save Abrams. Dianne was a good swimmer but had swum only in pools and never in the river. In fact, the very sight of the river was enough to discourage swimming: It was muddy, with nothing below the surface visible from the bank. From a point about 20 feet upstream from Abrams, Dianne, fully clothed, waded into the water and swam to her. Of slight build, Dianne was less than half the weight of Abrams, and she knew that she would be no match for Abrams if a struggle were to occur. Abrams, however, remained inert as Dianne rolled her onto her back. Holding the woman with one hand, Dianne stroked with the other and kicked her way to the bank. Once there, Dianne had to determine how to get Abrams out of the river. She did her best to push Abrams part way onto the sloping bank. The twins, meanwhile, had reached Abrams’s husband and the family cook, and all four hurried to the scene, where the adults pulled Abrams out of the water. Abrams regained consciousness within minutes and after two days recovered from nearly drowning. Dianne, although uninjured, was frightened and anxious but would recover by the next day. The following year the Hero Fund awarded her a Carnegie Medal for her heroic act. Dianne went on to graduate with honors from the University of Mississippi. She worked as an assistant biologist in research, married, and raised triplets. Despite her scientific background, she turned to nonprofit work and for the past 20 years has been the executive director of the Rowan Helping Ministries in Salisbury, which helps those in crisis meet their basic needs through cooperative community action.